In August 2018, Fallen won an INTERNATIONAL AWARD, and Melinda was honored as the first recipient of this international award in Christian Fiction: The Reality Calling Pre-Christian Godliness Fiction Award. Read more here. Fallen, the second novel and prequel to Refuge in Melinda’s Biblical fiction series set in Genesis 1 – 5, released December 12, 2015, in ebook and December 17 in paperback. Find it at Amazon, Barnes & Noble, and Apple iBook. See the “About Fallen” tab in the header for more information. 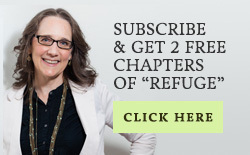 Koehler Books released Melinda’s first novel, Refuge, in March 2014. This is the first of the Biblical fiction novels set in Genesis 1 – 5. Refuge is available at Amazon, Barnes & Noble, and Apple iBook. Refuge was a 2014 Official Finalist For The PARANORMAL AWARDS for Supernatural Fiction: The Paranormal Awards writing competition recognizes emerging new talent and outstanding works in the genre of Supernatural Fiction and Legends & Lore. The PARANORMAL Awards is a division of the Chanticleer Awards International Writing Competitions. From 2012-2013 Melinda contributed her blog content at (In)courage, an online community of women. She helped promote the 2013 and 2014 worldwide (in)RealLife events. In 1988, Melinda began studying the Bible inductively with Precept upon Precept Bible studies. To hone her Bible study skills and equip her to lead inductive Bible studies, she received Precept Leader training in 1995 from Precept Ministries International, Chattanooga, TN. She began leading Bible studies at that time. Between 2000 and 2005, Calvary Bible Church provided five years of intensive church-based training in Systematic Theology. In 2001, this training included completion of the basic course in Biblical Counseling through the National Association of Nouthetic Counselors. In 2006, Melinda completed the How to Study the Bible Precept leader course to learn additional Bible study skills, enriching her earlier training. To take the time needed to publish and to market her first novel while fighting a chronic illness, Melinda paused her pursuit of the BA/MA Theology degree at Trinity College of the Bible and Theological Seminary in Newburgh, Indiana. With her husband Tim, Melinda coordinated the small group ministry as mentioned above. In the Calvary Bible Church team of Women’s Ministry coordinators, Melinda served as the Women’s Bible Study and Spiritual Growth Coordinator from 2010-2014. Melinda helped plan Sunday School and Bible study offerings to complement pastoral plans and to supplement the Wednesday night ministry. 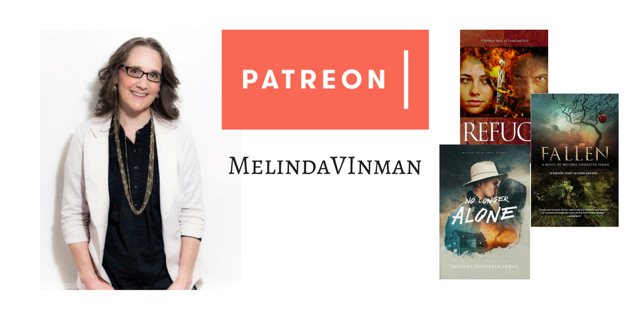 Starting in 2014 and continuing to the present, Melinda speaks to book clubs and women’s church groups about her novels and about God’s orchestration of suffering for our good. She offers a day-long workshop “God’s Purposes in Suffering.” See Press Kit in the Tab. Alongside other women from Melinda’s church, she taught and facilitated prison ministry through BridgeBuilders, a Christian 12-step program. In 2012, Melinda started a second branch of Calvary Bible Church’s prison ministry as a way to enlarge the current program founded by the pastor’s wife. From 2007 to 2013, Melinda developed and taught her own How to Study the Bible course to mothers and students at Explorers Home School Association, a community-wide homeschooling co-op. Occasionally, Melinda spoke to the women of Campus Crusade for Christ (Cru) on the U of M and EMU campuses in Michigan. She also served as a panel member addressing the men of Cru. 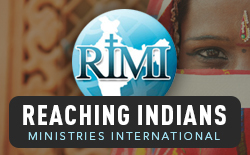 Since 1998, Tim and Melinda’s family has been affiliated with Reaching Indians Ministries International, a ministry founded by Rev. Saji K. Lukos, an Indian man attempting to reach all of India with the gospel. The main campus is in Nagpur, and RIMI has established satellite seminary campuses in all the Indian states as well as surrounding nations. RIMI has planted over 10,000 house churches. Tim now serves as an American board member and uses the Bible study material written by Melinda when he teaches in India. From 1998-2000, Melinda served as the Missions Coordinator for the Evangelical Free Church of Rock Springs, Wyoming. Between 1988 and 1994, Tim and Melinda’s family was affiliated with Helping International Students (H.I.S.) under the leadership of Bob and Mary Taussig. As noted earlier, Melinda’s training and equipping for ministry in her church shows nearly twenty-five years of continual learning in theology, Biblical studies, and Bible-study techniques. From 1984 to 2012, Melinda home-schooled their six children. All homeschooling parents must constantly grow in wisdom and knowledge, learning new topics and enriching their previous understanding in order to educate their children. In addition to theological and Bible-study training, Melinda also attended many homeschooling seminars in order to train her to educate their children and to improve her teaching skills. Tim and Melinda were founding members of the fledgling Manhattan-area home school association in 1984. They worked with other area parents to enrich their children’s schooling experience through coordinated classes and field trips. From 1983-1985, Melinda worked alongside a lay midwife as her apprentice, learning about natural childbirth in the home. From 1980-1983, Melinda was a certified childbirth instructor with the International Childbirth Education Association.